← Historic Stone House Days Festival in Hurley! Zwanzigstein Fest? Take a Look…Sounds Like Fun! There are many activities, most focusing on family fun. 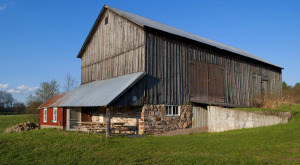 Wagon rides, antique flea markets, tours of the historic farm, sauerkraut making, woodworking demonstrations, live music, home cooked meals (including their famous Apple Fritters) and much more! When: July 6, 2013, 10 a.m. to 4 p.m.
Where: Erie Canal Road, Croghan, N.Y.
Irish Eyes Will Be Shining At Hofstra University Irish Festival on March 10th! (VIDEO)In "Suffolk County"
Saranac Lake Hosts "Adirondack Plein Air Festival"...Art in the Great Outdoors!In "Essex County"
8th Annual Adirondack Food and Wine Festival in Lake Placid! (VIDEO)In "Essex County"
This entry was posted in Lewis County and tagged Croghan, Zwanzigstein Festival. Bookmark the permalink.